Look what i sketch. took me 35minutes to finish. HD Wallpaper and background images in the 犬夜叉 club tagged: inuyasha kagome kikyo. 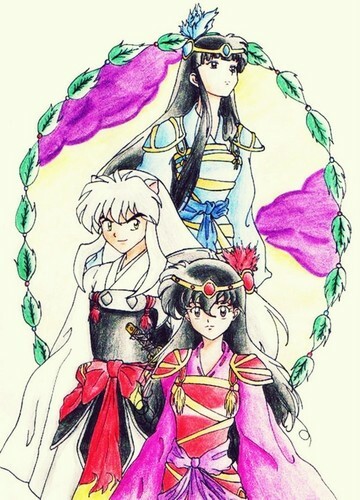 It looks like Inuyasha is doing a Sesshomaru costplay xD Armor just doesn't suit him. The silly boy.